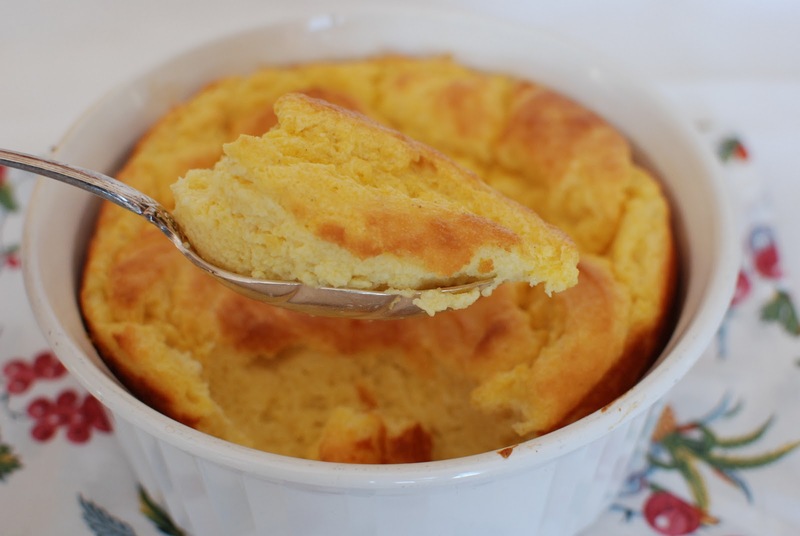 Puffy and light, yet creamy and comforting, southern spoonbread is part pudding, part soufflé. I came upon this recipe several years ago in one of my Fine Cooking magazines. It was love at first bite! Spoonbread is best served steaming hot, with lots of butter. I personally love it smothered in honey. College son #2 loves spoonbread served with pot roast so he can smother it with gravy. 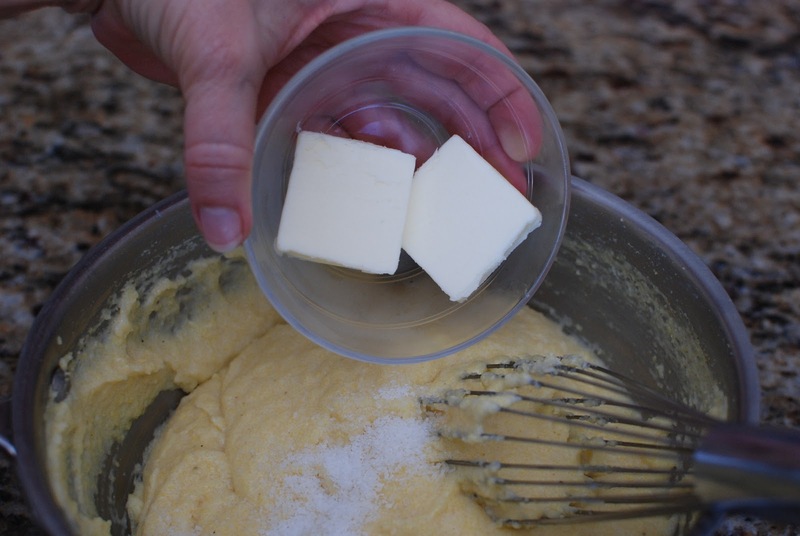 Spoonbread can be sliced and sautéed in butter for breakfast the next morning. Serve with pure maple syrup. The same son requested this for his birthday breakfast a few months ago. It’s that good. 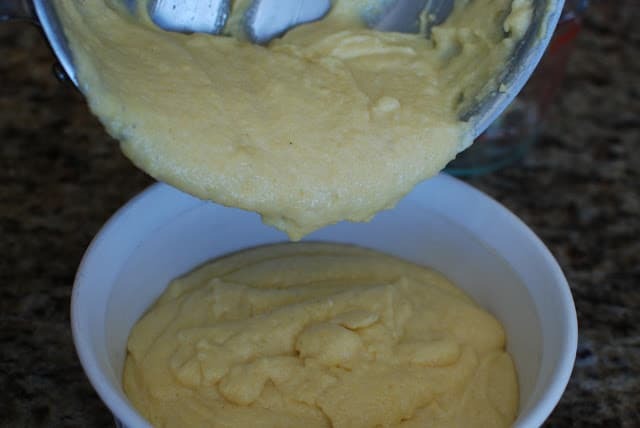 Spoonbread is simple to make and has just a few ingredients. You will need yellow cornmeal. Butter a 1 1/2 quart baking or soufflé dish. Set aside. 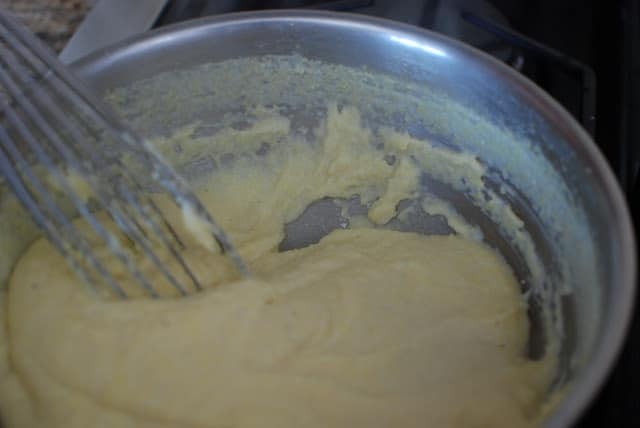 In medium size mixing bowl, beat the egg whites until stiff. 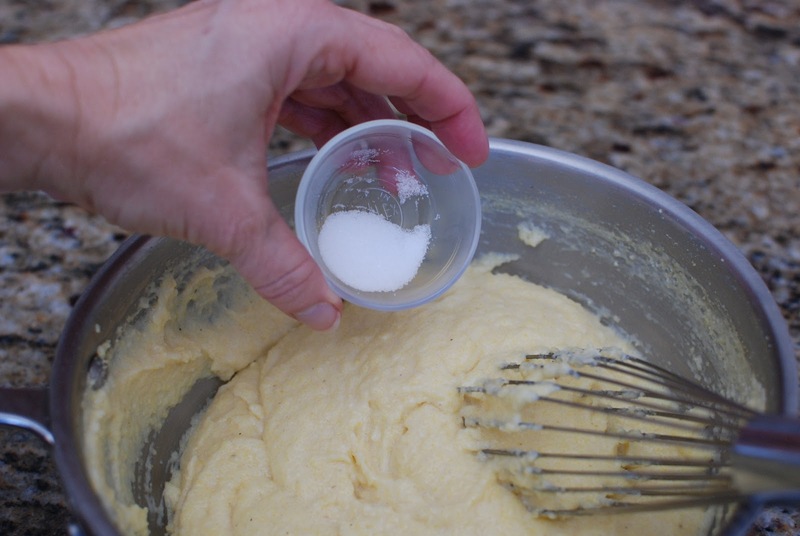 If you are at a higher altitude, just beat until the egg whites form soft peaks. Set aside. 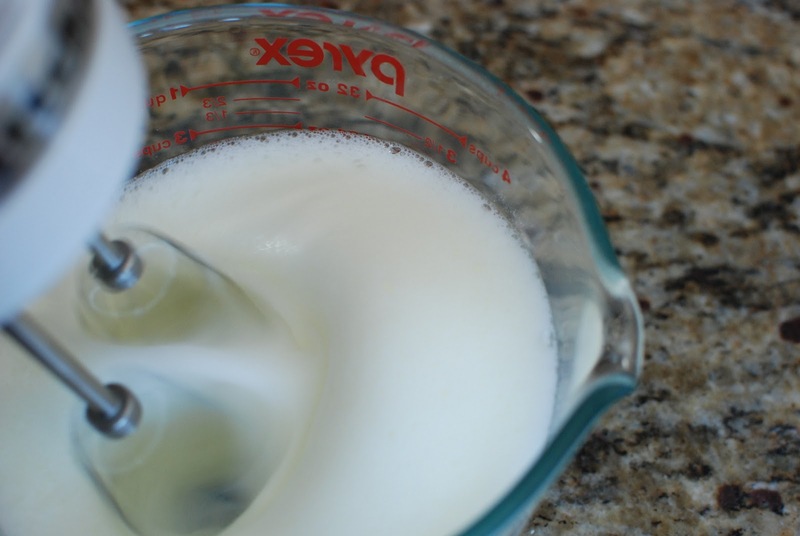 Pour 1 cup of the milk into a small mixing bowl. Add the cornmeal. 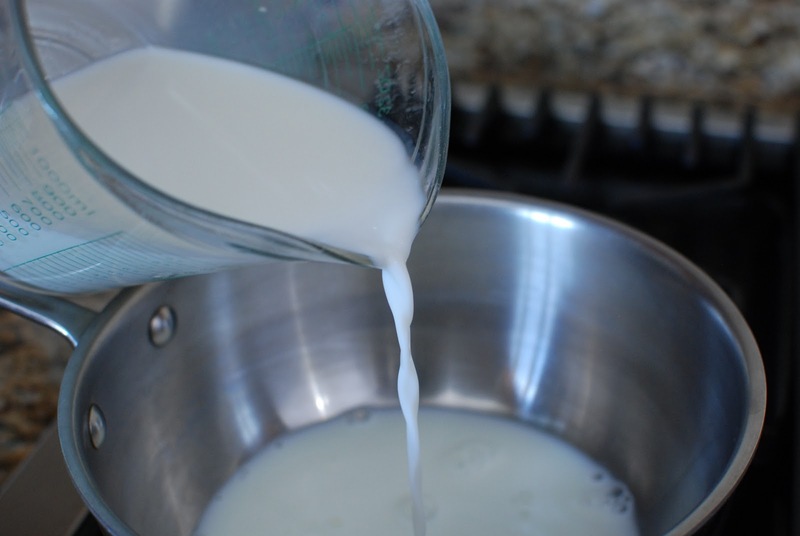 Pour remaining 2 cups milk into a medium sized saucepan and bring to barely a simmer. 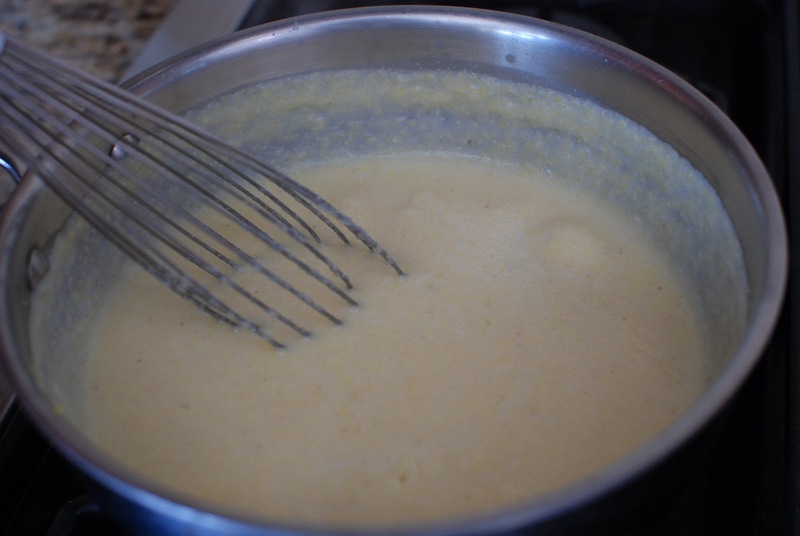 When the milk has scalded and begins to steam, add the cornmeal mixture. 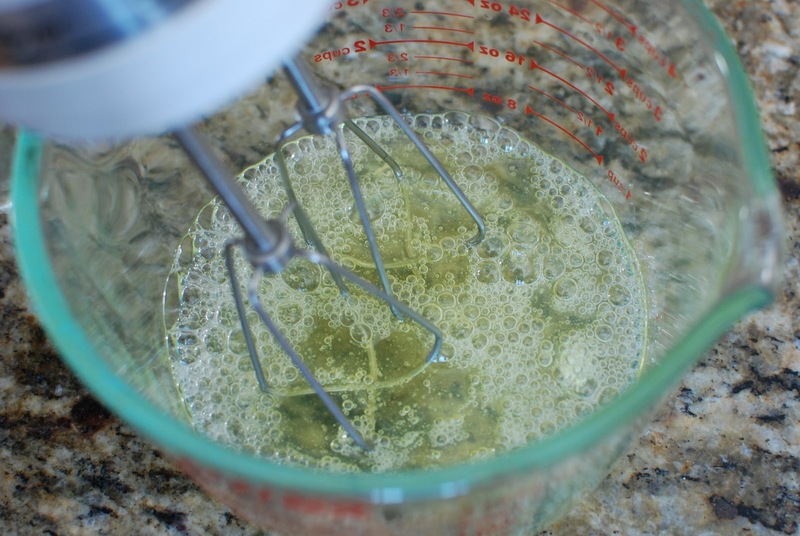 Whisk together and continue cooking, stirring constantly. The cornmeal mixture will begin to thicken. 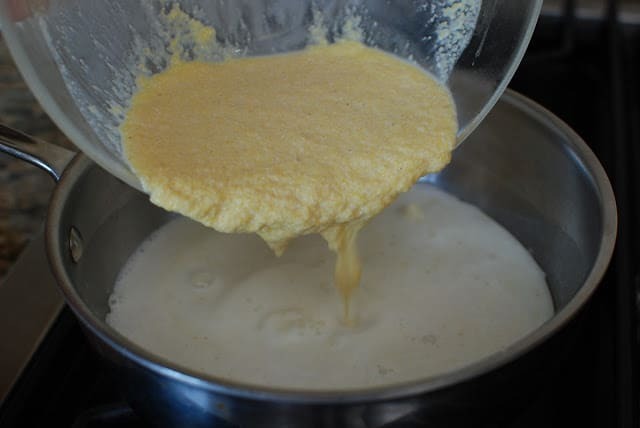 You will notice that the mixture will begin to pull away from the sides of the pan. This could take up to 10 minutes of cooking time. When the mixture pulls away, take off the heat. Vigorously whisk together. 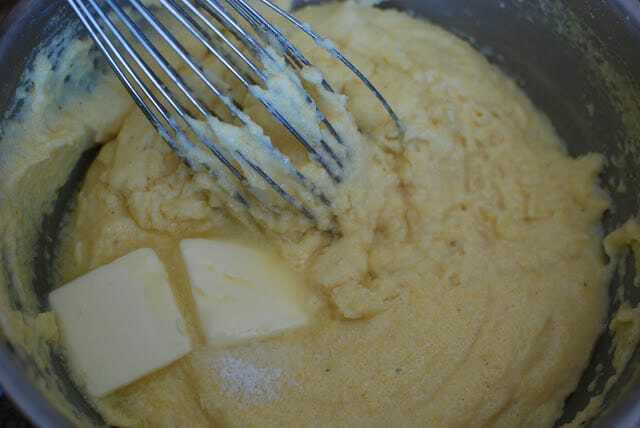 Until the butter is melted and blended in the cornmeal mixture. Add the egg yolks one at a time. Beating vigorously after each addition. BE CAREFUL not to cook the egg yolks. The second you add the egg yolk to the hot mixture, whisk like crazy. 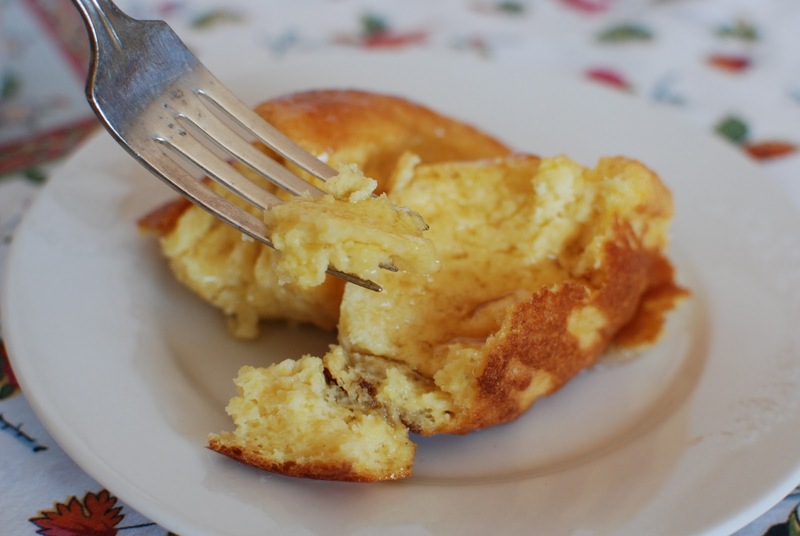 You do not want scrambled egg yolks in your spoonbread. Repeat with remaining egg yolks. Let’s go over this! 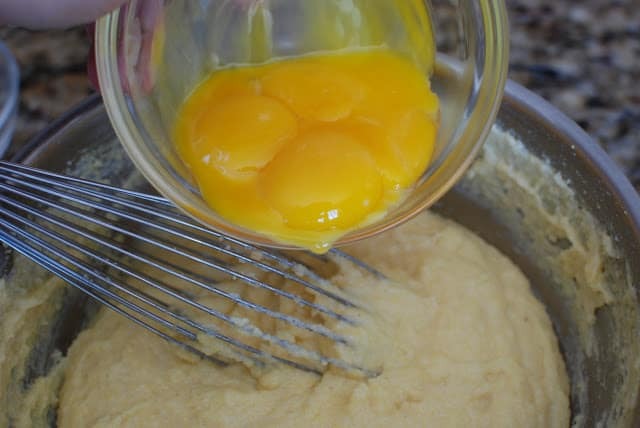 You will add 4 egg yolks into the hot cornmeal mixture ONE at a time beating like crazy AFTER each addition. The mixture should be smooth and free of any lumps. 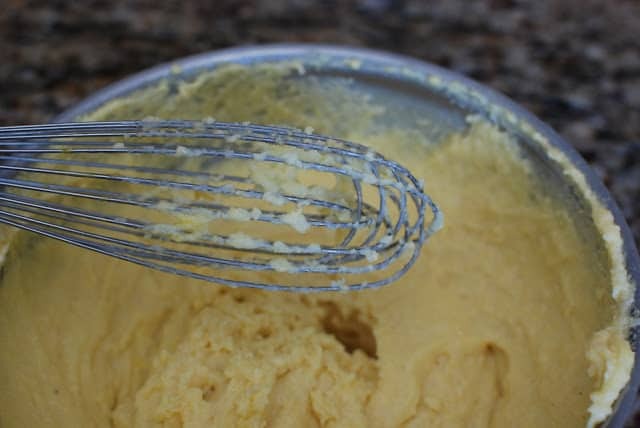 Remove the whisk from the mixtures and get a spatula. 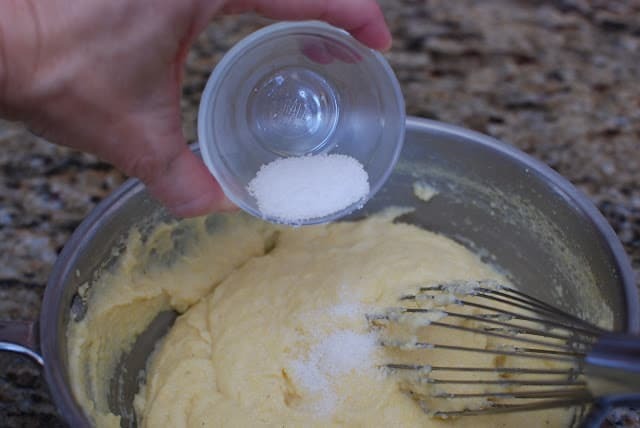 CAREFULLY FOLD in the egg whites into the mixture. Use and over and under motion and you do the folding. GENTLY every so GENTLY. We do not want to deflate our egg whites. Be patient and gentle while you are folding. 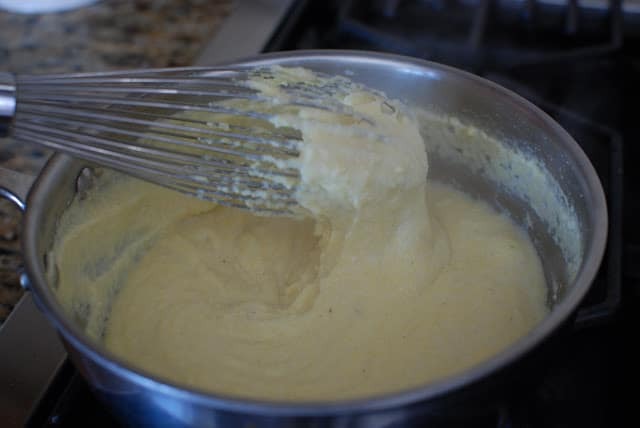 Soon you will notice the egg whites incorporating into the warm cornmeal mixture. 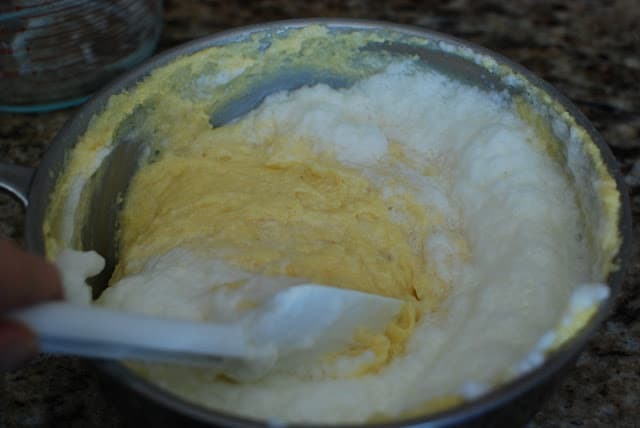 It’s ok if you can still see small amounts of egg whites, but most of the whites should be folded in by now. 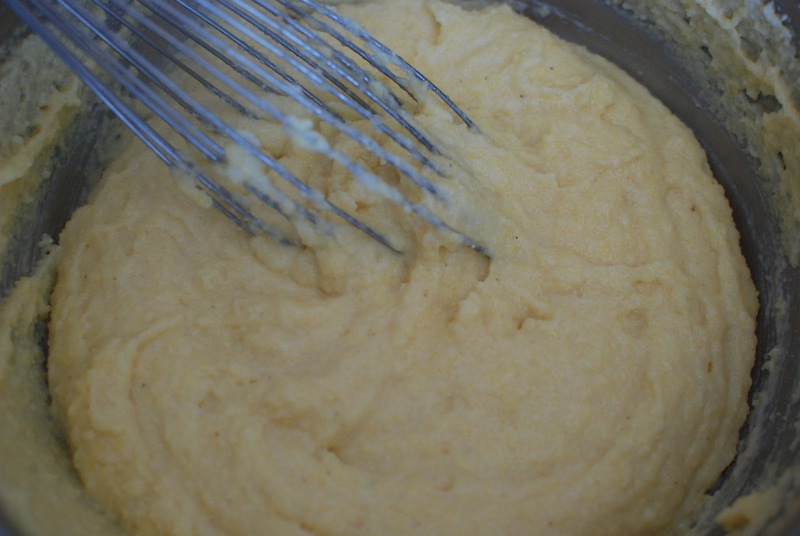 Gently pour the spoonbread into the prepared baking dish. Bake in a preheated 350 degree oven for 1 hour or until golden on top. I had to take a picture while the spoonbread was still in the oven because it is just like a soufflé and will begin to deflate once taken from the oven. Southern Spoonbread. Scoop and serve with lots of butter. I prefer lots of honey. This classic southern side dish is true comfort food. Heat oven to 350 degrees. 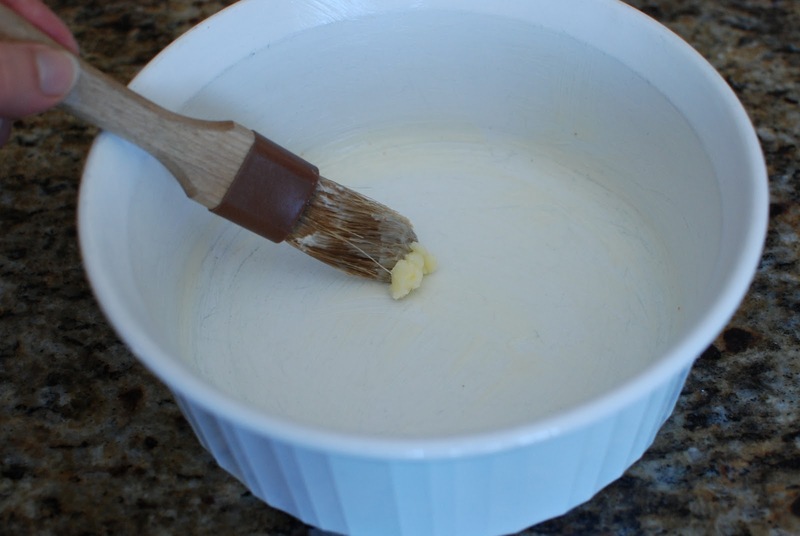 butter a deep (3-inch) 1 1/2-quart baking or souffle dish. 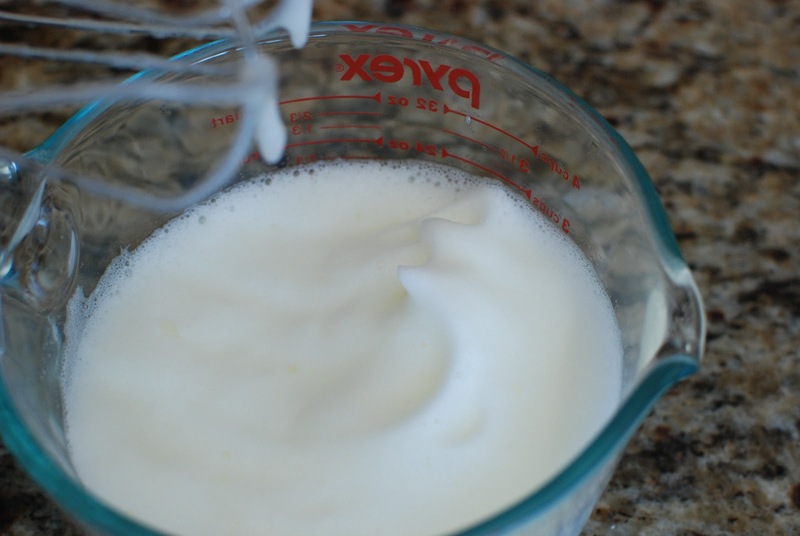 In a medium bowl, whip egg whites until medium-stiff peaks form; set them aside. 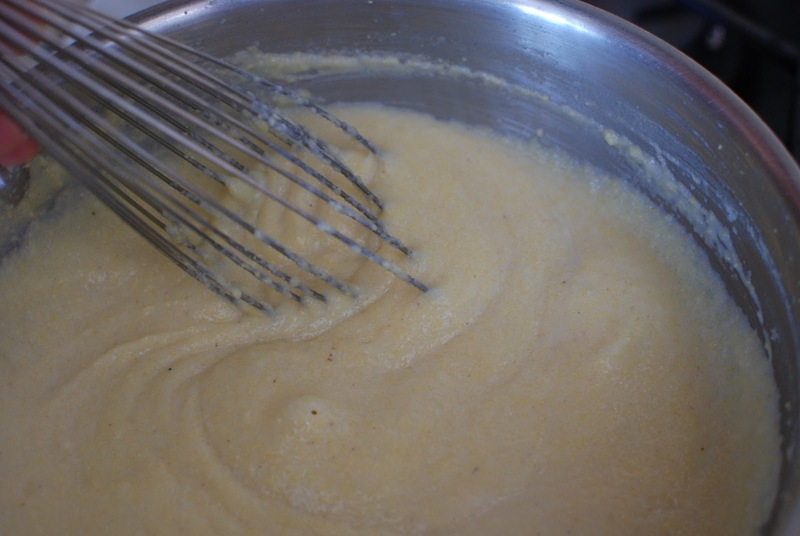 In a mixing bowl, whisk together the cornmeal and 1 cup of the milk. In a medium saucepan, scald the remaining 2 cups milk. Add the cornmeal mixture to the saucepan and cook, whisking constantly, over medium-low heat, until the mixture thickens (you’ll begin to see the bottom of the pan as you whisk, about 10 minutes. remove from the heat; stir in the salt, sugar, and butter. Add the egg yolks one at a time, whisking to combine after each addition. Gently fold in the egg whites. 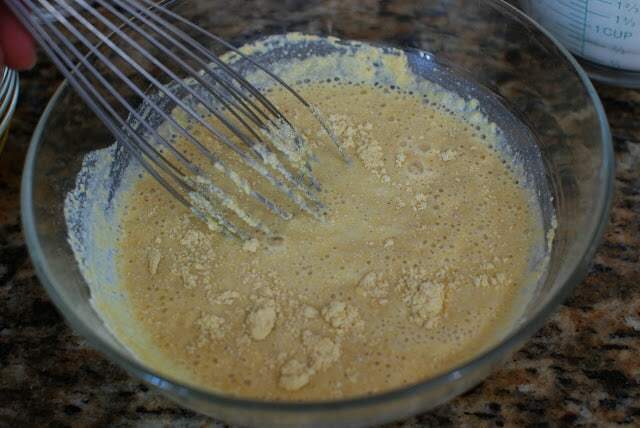 Pour the mixture into the prepared baking dish and bake until the spoonbread is puffed, with a golden brown crust. About 1 hour. Serve with lots of butter. I’d love to hear what you are serving your spoonbread with. I’m sure you have some great ideas. Pass them on! Brilliant! My husband will think he has died and gone to heaven. Thanks so much. 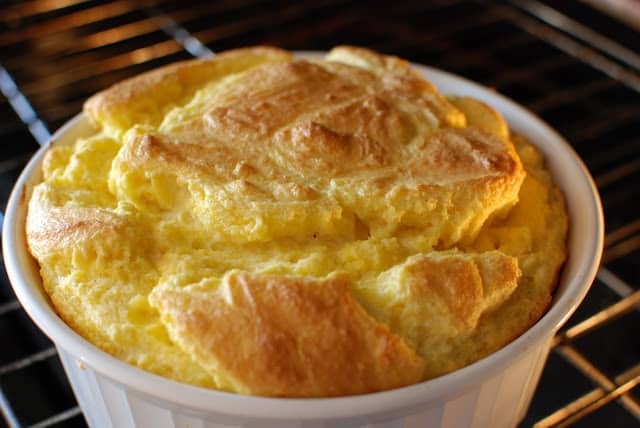 I grew up in Montana and never heard of spoonbread or grits souffle until I married and lived in VA where I worked at a local hospital and they served the most delicious "spoonbread". 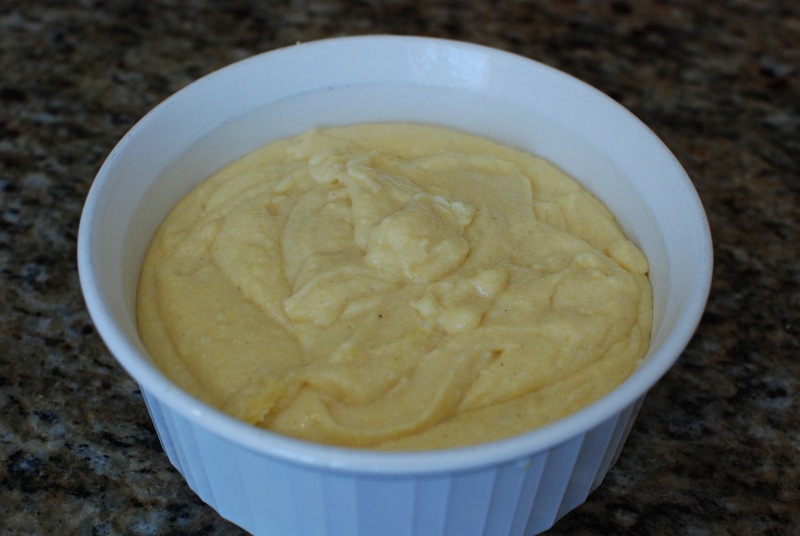 After leaving VA I searched many recipes and thought I found what I was looking for in Natalie Depree's recipe for Grits Souffle. Never thought to try it with cornmeal! I sounds as though it will be exactly as I remembered that wonderful side dish. Visiting my grandmother in Richmond, Va as a child, I would always request her Spoonbread. Loved it swimming in butter! Haven't had any since the 1970's. Will definitely be making this recipe! Thanks for posting! No hope this recipe compares to your grandmothers. Butter makes everything better. I made this using Bob's Red Mill stone ground whole grain cornmeal. 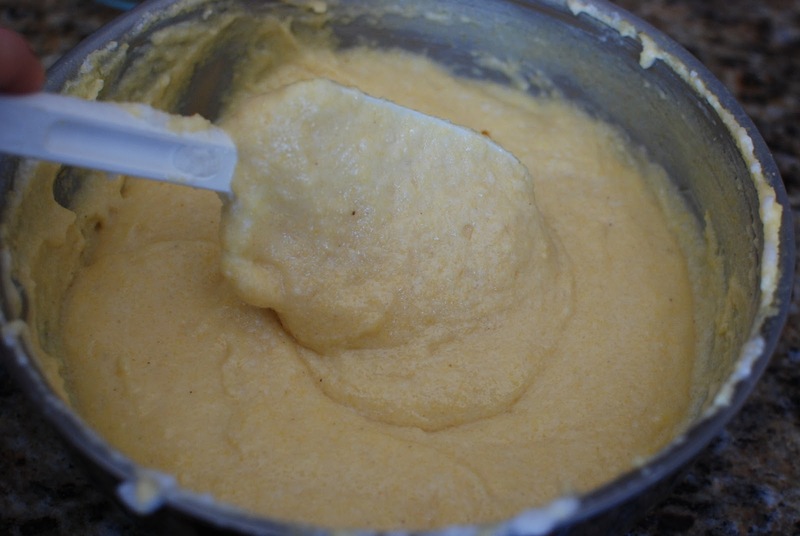 I microwaved the cornmeal-milk mixture one minute at a time, stirring each time. I let it cool 15 minutes before adding egg yolks to be safe. I baked it in the toaster oven at 325F, to avoid scorching the bottom, so as not to heat up the whole kitchen. It came out perfect first time. It microwaves great without getting rubbery. 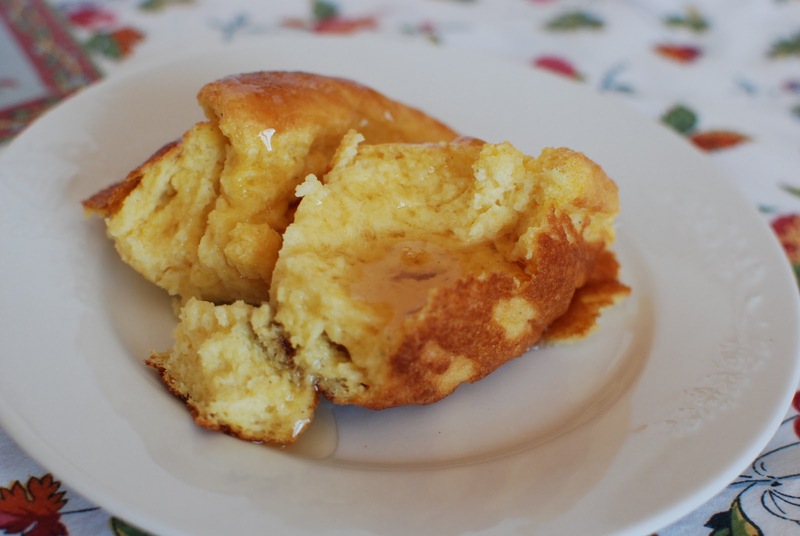 The town of Berea, Kentucky has a Spoon Bread Festival every year. The hotel there, Boone Tavern, is famous for its spoon bread. Fun fact. Thank you so much. I was searching the web for the spoonbread I remember, and just from reading the recipe, I can see that this is the real thing. 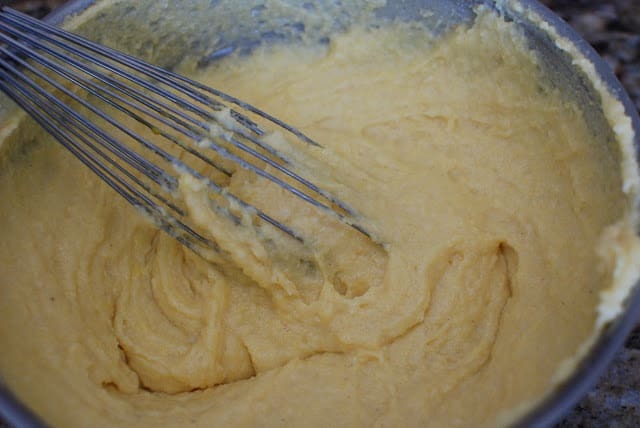 My New Yorker mother used to make spoonbread, as passed on to her from her Smoky Mountains mother-in-law, my grandmother. In no other respect did my mother take up Southern customs, but she could cook the food. I loved her spoonbread so much when I was a kid that I can't even remember what she served it with: all I see on the plate is that fluffy yellow goodness with butter running all over it. Thank you! 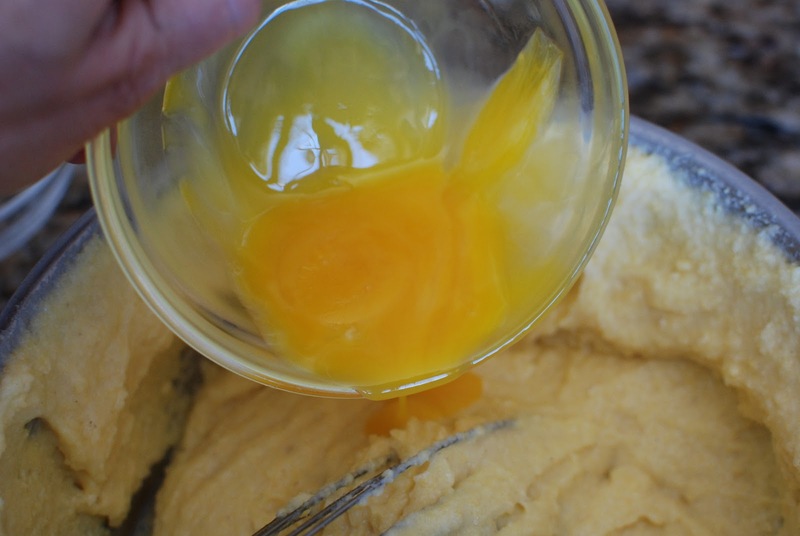 By the way, I also thought of tempering the egg yolks — think I'll try it that way. I recently saw a recipe that incorporated fresh herbs into the spoonbread. I think I'll try that someday. I hope you love the recipe. It's true comfort food. I love your comment. 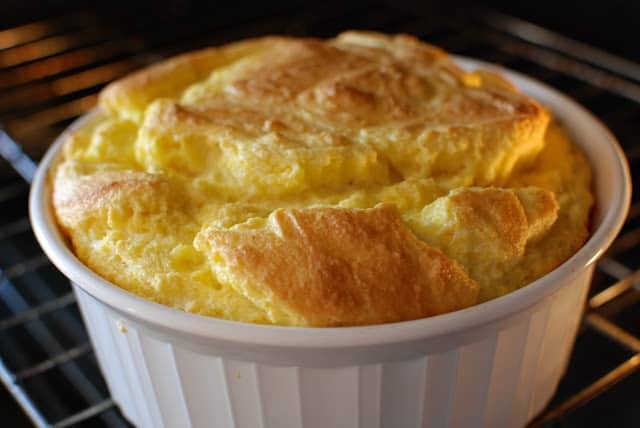 A souffle is puffed and beautiful when first pulled from the oven then slowly deflates. The inside texture is very soft, which almost melts in your mouth. If you think it was under cooked, why don't you bake it an additional 5 minutes. I try to time the meal so that the spoonbread is the last item put on the dinner table. I even leave it in the oven while we say grace on the food. I hopes this helps. Best of luck. Please let me know how your spoonbread turns out. I'll be anxiously waiting. I made this but the middle of the spread still had that wet texture where it didnt look cooked at all is that how its suppose to be? The spoon bread is moist inside like a souffle. It should be moist by not doughy. You could try baking just little longer to see if that remedies the problem. Start with 5 minutes additional baking time. Best of luck. My mother used to make this every friday night to go with fried flounder and sauteed(?) squash and onions. I have tried many mixes but this sounds like the recipe she used in the Rumford cookbook from the 1900's. Can't wait to try it for breakfast! Thank you so much for the comment. What a great tradition to have with flounder. My daddy ALWAYS made this to go with the fried Spot and Croaker, that we catch on a Saturday fishing trip on the Rappahannock River in Virginia. I haven't been fishing in years but have a trip planned next weekend and I can't wait to make this to go with it!!! What a fun story. Thank you so much for sharing great memories. I have never thought of this bread with a fish dish. Sounds great. Janet, I love spoonbread, but haven't made it for years – I think the biggest issue I had with it is that it ties up the oven for an hour, and I tend to like to serve it with items that cook low and slow, like pulled pork. The other issue is that unless I have my oven on for something else, I don't always like heating up the oven (or kitchen) for an hour for just one thing. I guess spoonbread just fell by the wayside! I think it's pure genius that you made yours in ramekins! Do you remember how many and how long you cooked it for? Well I wish I was genius, but that's a small souffle dish. Looks like you're the genius because that's a great idea. That could be done easily. I would bake for about 15 – 20 minutes to start out with. I think I'll try it. I know what you mean by tying up the oven, I serve it with braised beef or pot roast. I just make the room for it. It's a family favorite. Fat sauce is a bit of heaven. Check my recipe pull down file for fat sauce. It's divine. 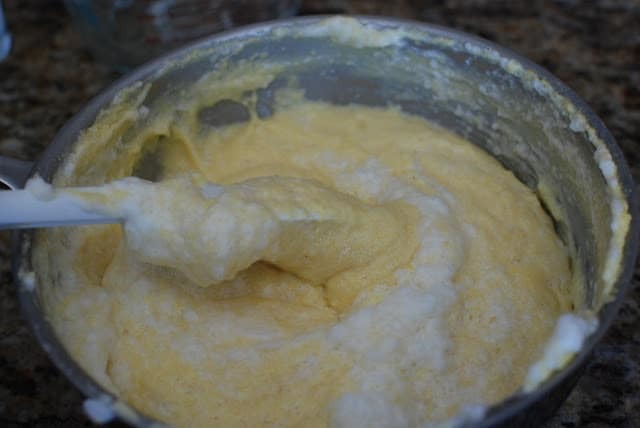 I'm sure this spoon bread would be great with white corn meal. It is so fabulous. I hope you enjoy it. what is fat sauce? 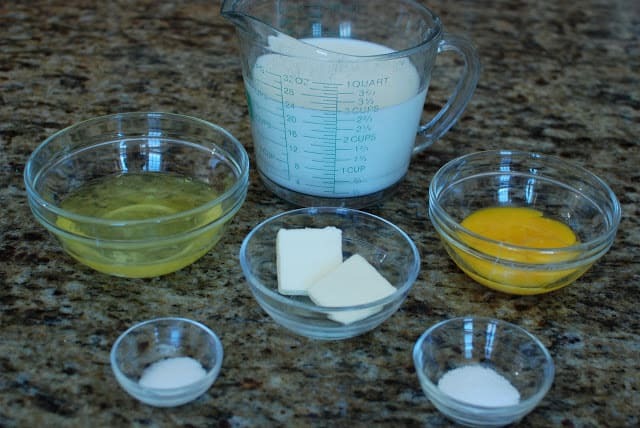 I am going to try your recipe. The one I've always used got packed when I moved and now my #2 son in begging for spoon bread. 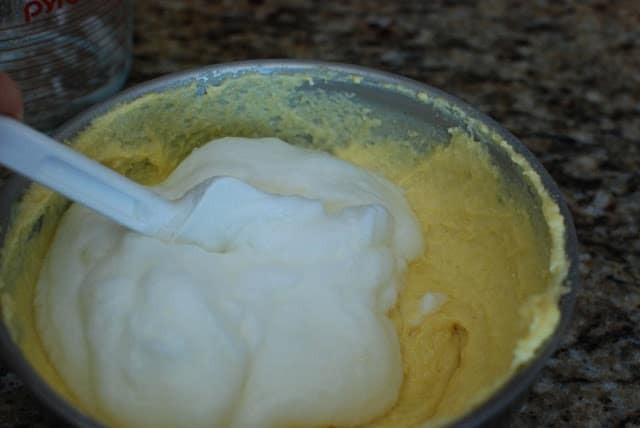 Yours uses the beaten egg whites like mine. I got my recipe from a Georgia cook book back in the 70's. 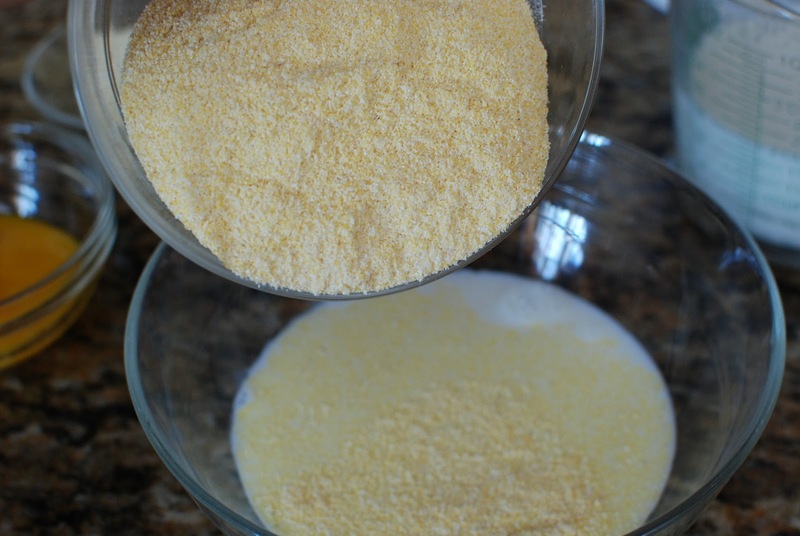 It calls for white cornmeal. I'm going to try yours as is. Thank you so much for your beautiful instructions. Holy Cow – this was awesome! I made it last night for the family to go along with beef roast and gravy. I'm a huge fan of potatoes but decided this would be in place of that. YUM! So I did end up doing one thing different. I didn't have yellow but white cornmeal (it was also self rising) So I added 2 drops of yellow food coloring and left out the salt. Anyway it turned out great. We had 5 people eating dinner and several of us took a 2nd serving. Ahhhh, I'm so glad you tried the spoon bread. Sometimes I think this poor post just sits there unnoticed. It is AMAZING with gravy. 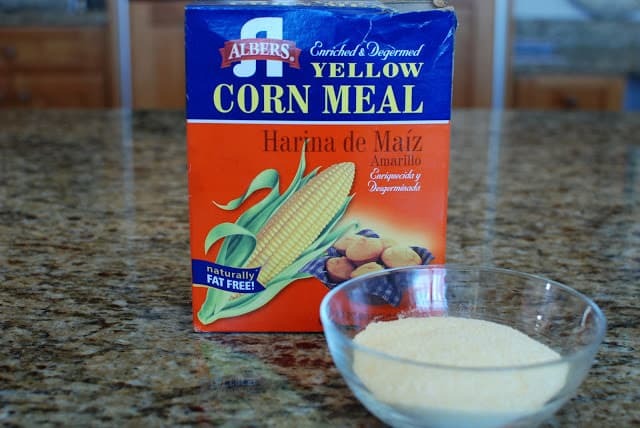 I think using white cornmeal would work just great. Thanks for your comment. This should serve 5-6 adults. It doesn't hold up well. It needs to be served right out of the oven because it will deflate slightly like a souffle. It is delicious. Oh my gosh, Mayzie! You are a genious. It would be AMAZING with fat sauce. I miss you Ann Marie!